If you are a reader of Jake's Rolex World, you know I consider many vintage Rolex ads to be works of art, in and of themselves. 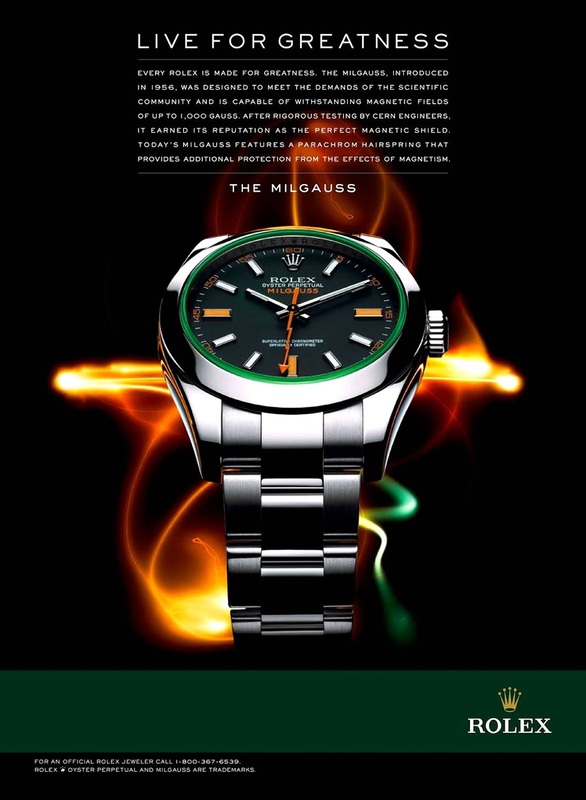 This 2012 Rolex Milgauss ad, in particular, strikes me as having magnificent composition. The GV Milgauss model (pictured below), which features the green edged sapphire crystal, is so un-Rolexy in so many ways, but that is what makes it so interesting. The orange 3, 6, & 9 markers, coupled with the orange lighting bolt second hand, really set it apart. GV is French and means "Green Crystal."